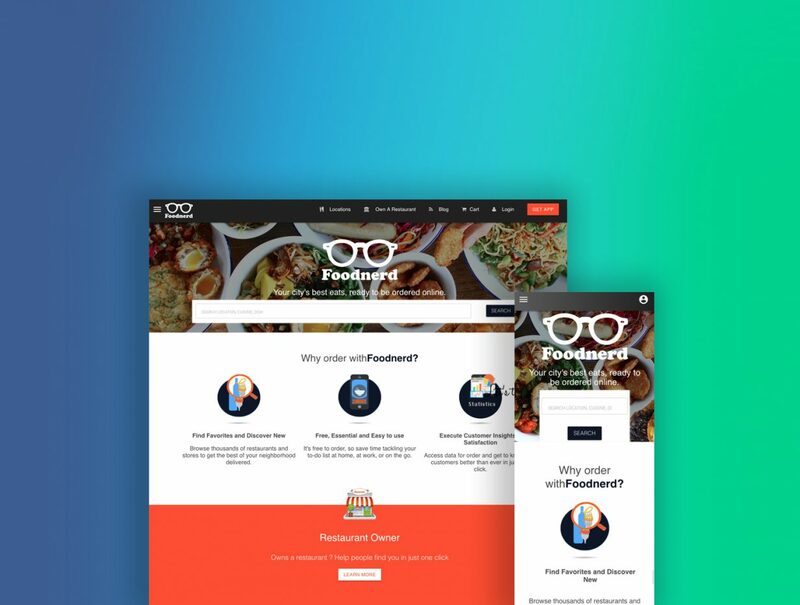 Foodnerd is the number 1 social platform for foodies to get insights for their favorite locations as well as order food online. Foodnerd also allows restaurants to manage their complete business operations while maintaining their online and social presence seamlessly. At Foodnerd, we believe our customers deserve fresh, warm and quality food delivery at their doorsteps fast. Serving our customers timely is as important as how food tastes. Our in-house team works hard everyday to foster close relationships with restaurants and customers. Benefits for Customers: Foodnerd provides a hassle-free online food ordering experience. With the help of our proprietary technology customers can fulfil their food cravings instantly. When they order from our intuitive website/app, they are notified at every step of the order process and can track their orders in real time..
Benefits for Restaurants: Paradigm for restaurant businesses is changing fast with the evolving buying behaviors of new-age consumers. Restaurants, cafes and other food joints are in dire need of a social presence coupled with automation and delivery features for their business. That is where foodnerd caters to their business partners and serve them to transform their businesses.